In this article we explain all you need to know about a Lucky 63 bet. This includes what it is and what it consists of, how to manually calculate it, how to place this bet type and more. Lucky 63 Bet Explained – What Is A Lucky 63 Bet? A Lucky 63 bet is a wager on 6 selections taking part in different events and includes the following: 6 Singles, 15 Doubles, 20 Trebles, 15 4-Folds, 6 5-Folds and 1 6-Fold. 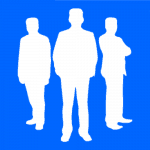 A minimum of 1 selection must win for a Lucky 63 to generate a return. Note: A Lucky 63 is similar to a Heinz bet in the sense both bets consist of 6 selections, the only difference being is that a Lucky 63 is a complete coverage bet and so also includes singles. Many bookmakers offer bonuses on Lucky 63 bets. This is usually if you have just one successful selection, one losing selection or if all your selections are successful. For full T’s & C’s and accurate bonus information we recommend checking your online bookmaker or ask in-shop. An each way Lucky 63 is double the stake of a straight ‘Win’ and consists of 126 bets – 63 bets for the selections to win and 63 bets for the selections to place. If you’re unsure or have never heard of the term ‘Each Way’ then you can read our guide on how does each way betting work. 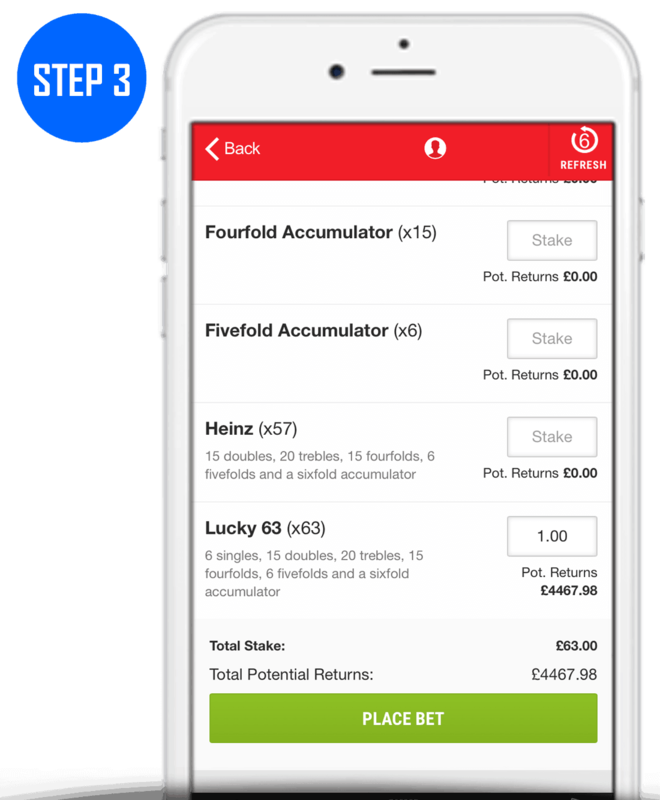 To calculate a Lucky 63 bet, you need to add together the return of each winning single, double, treble, 4-fold, 5-fold and 6-fold bet. As you can imagine, manually working out the returns will take a while and it’s likely you’d be error prone. 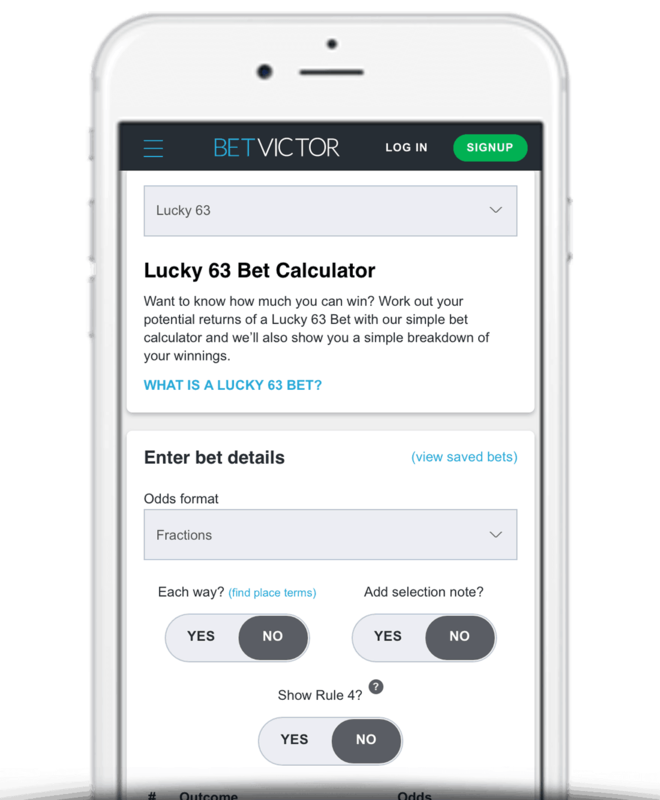 Thankfully there are many Lucky 63 bet calculators out there that will automatically do the math for you – one of the best being BetVictor’s Bet Calculator (brilliant tool). Simply enter the prices of your 6 selections. Then enter your stake and it will show you what you stand to win. You’ll also be able to experiment with different outcomes to see how they affect the potential returns. 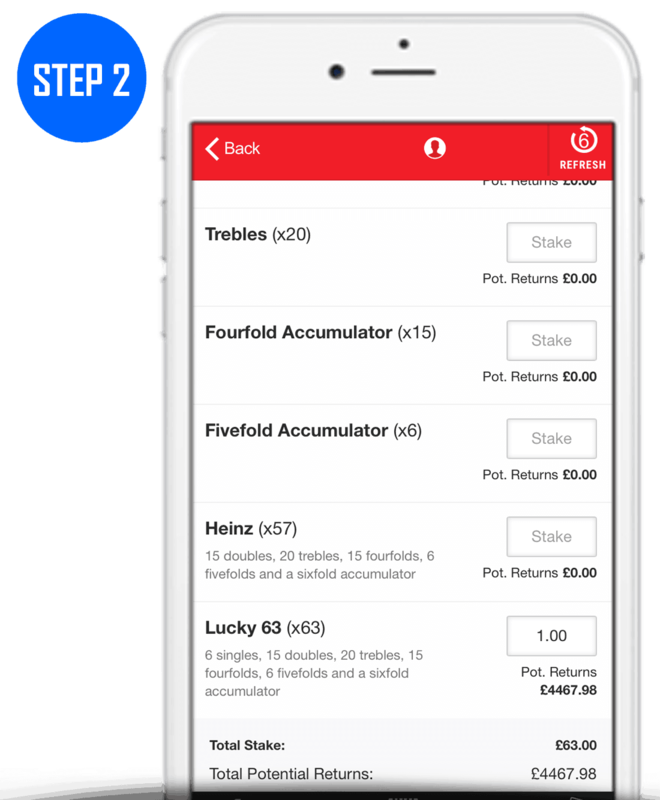 We’ll be using Ladbrokes in our example although the process should be the same regardless of what bookmaker you use. 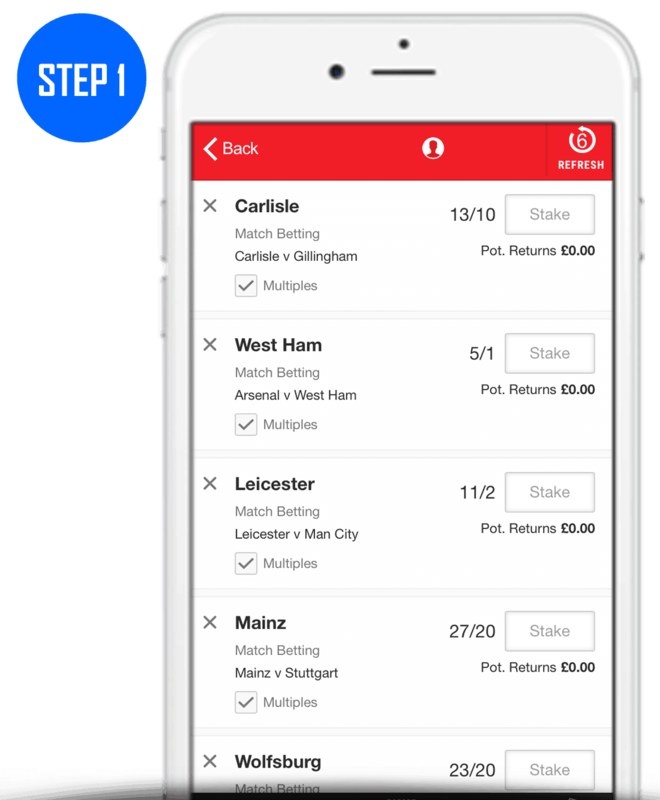 When selecting your 6 selections you do not need to worry about which order they appear. All selections occur the same amount of times across all 63 bets. Step 2) Enter your stake into the ‘Lucky 63’ box (usually under multiples). A Lucky 63 bet consists of 6 selections and include 6 singles, 15 doubles, 20 trebles, 15 4-folds, 6 5-folds and 1 6-fold. 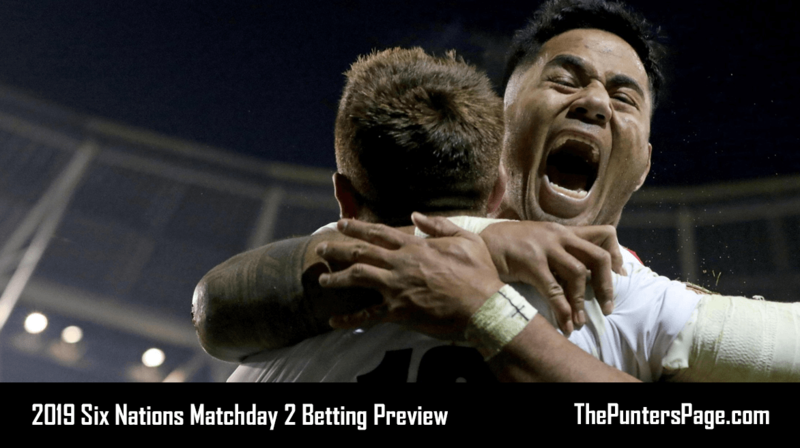 The advantage of this bet is that you only need one successful selection to see a return compared to a traditional accumulator which would return nothing if one or more selections lost. The disadvantage however is that it can become quite an expensive wager.